No need to talk much, just see schematics and pictures. 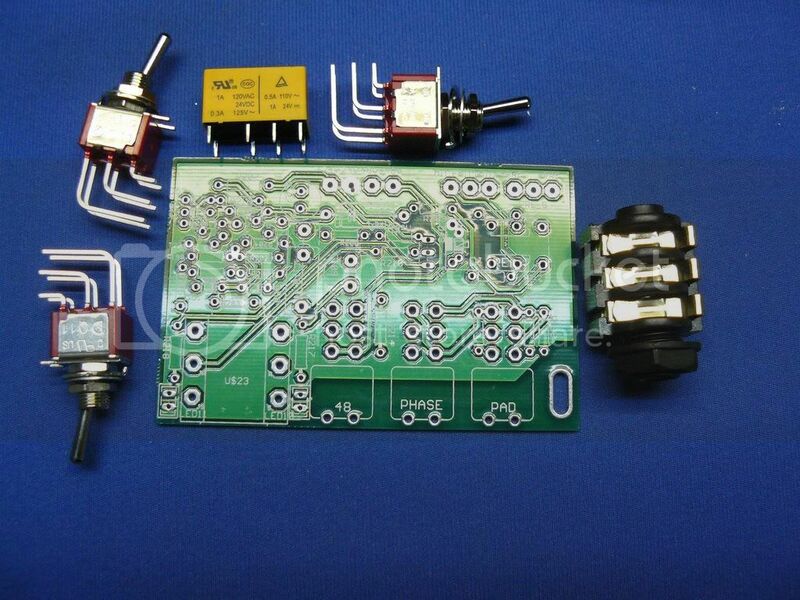 -PCB, switches, input Jack, transistors, relay. Looks better suited for the Black Market. Please split into ordering (BM) & building-info/support (here in The Lab). sorry for the newbie question, but, what is this?is it based on something? before input transformer...here it is. if its ok, how to connet it? Well it says universal! it fits any front end preamp! but to answer your question yes it will work! wiring its very simple you wire the mic where it says mic, the preamp from where it says pre. 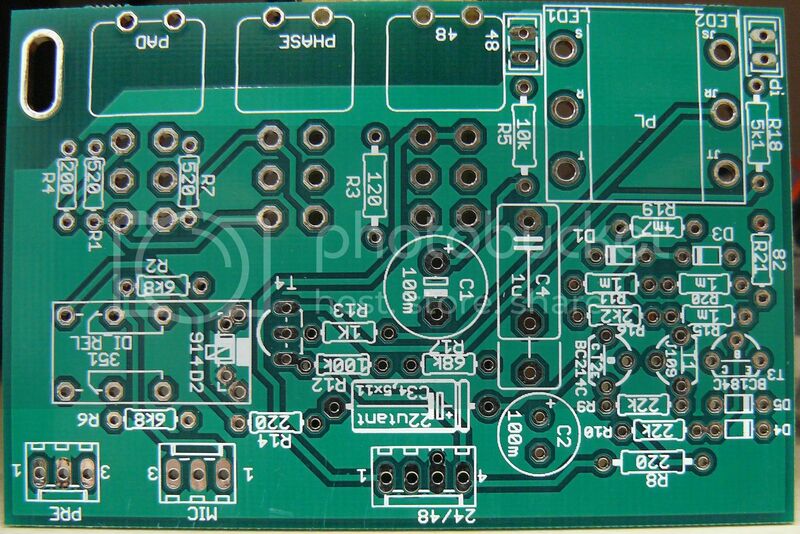 you need to feed this with 24V and 48V where its marked. hi Igor, could you give us the cut size for the front panel please, i would to buy some kit but i need to know if it's possible to add it on my front panel. You can use it as drilling template, resolution is 300dpi. is it similar to the JLM go between? Same purpose, but bit different idea, different schematic. Just compare by schematics etc. 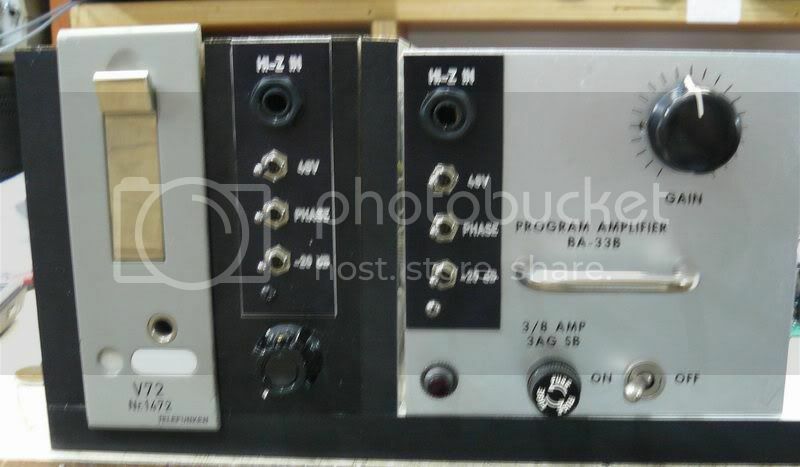 do you accidentally have a source for the gain knob on the ba-33 amplifier as shown right at the picture? Hi...I assume D3,4,5,6 are 4148 correct?? Do not know what D2 is...914 , is it swapable with another # ? Regarding C3 , what do you meant by "C34,5x11" ?? 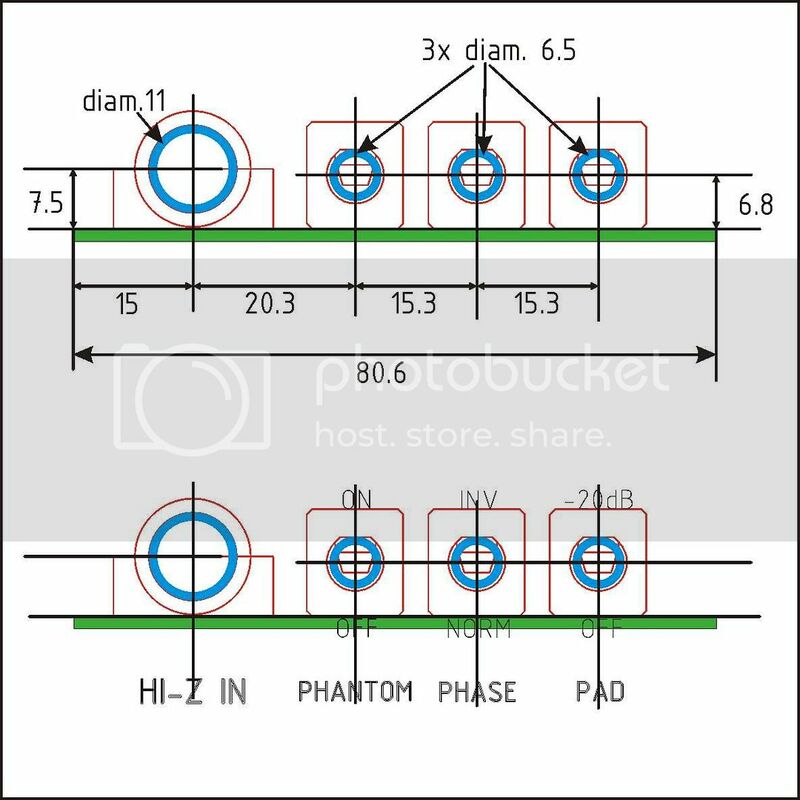 Hi, all diodes are 1n4148 or 1n914. 4.5x11 came from Eagle package, it is measures, don't relate to this. "22utant" makes me wonder if it should be a tantalum cap? The one on your pic seem to be polarised lytic...What should I do please ? Also , I've had short search about 520R , seems hard to find (Banzai , Selectronic...)Would 510R do the trick? Some times yoyu can use lytics in place of tants...and vice versa..
what voltage should the 1uf and 22uf tantalum capacitor be? I have 22uf 16v can i use that? would this work with +18 instead of +24? 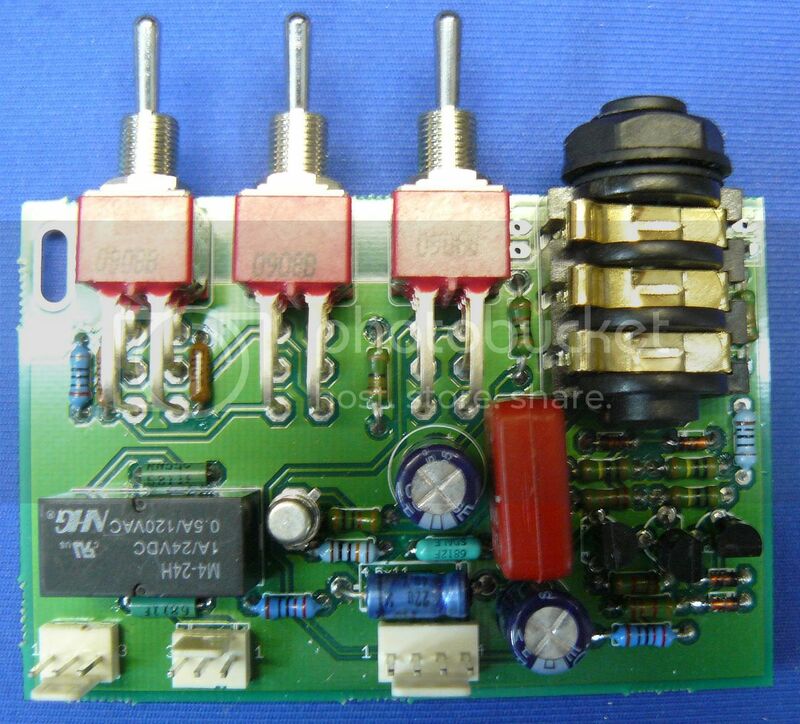 Maybe a voltage drop resistor & a 12 volt relay.... this would open it to use with other preamps that do not use +24V.